The maternity shoot I will never forget. 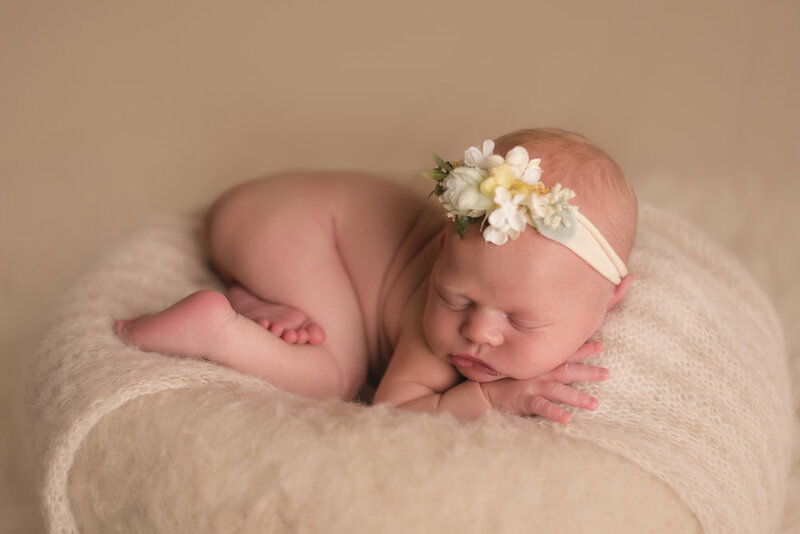 Hopefully, you all know by now that roles are changing a little bit at Sugar Free photography (Soon to be Naturally Newborn). To say that I am thrilled with the changes is an understatement. Over the last several months, Amber trusted me with running the ship while she bonded with her little guy at home. However, I am so happy that she is finally back full time while still giving me room to be creative as the associate photographer/photo editor. That means more time shooting, more one on one communication with clients and more time with my family. Additionally, I am going to be blogging more regularly, along with the other members of this incredible team. I have spent a lot of time thinking about what my first post should be about. What do I want to write about and what do people want to read? I could go on and on about my favorite TV shows. I could just post a bunch of images from recent sessions. I could even start a regular "teach you how to use your camera" segment. All these things are possible, but I would like to start with my favorite session of this year and the story behind it. It was June 29th and Amber just had Lennox a few days before. I was shooting full time for Sugar Free at this point and, I will be honest, I had some HUGE shoes to fill. When you are working under one of the top maternity and newborn photographers in the State, it's terrifying. So, I throw on my yoga pants and cute "I'm the best photographer in the world" shirt and head to the studio. I have shoes on: I think I am ready. I double, triple check my camera is in my car. The batteries are charged, I have the right lens. But let me look again. What if it rains? What if this client hates me? What if my camera breaks? What if there is lava? What if she demands...Amber? ... Gulp. I push those worries aside and open the studio. As I walk down the hallway to the mom's suite, I realize how many times I have done this before. It's just like all the other times, except Amber won't be there. So not like the other times. At all. Mom (as we refer to all our moms and moms-to-be) arrives and could not be any sweeter. She has no idea that I am shaking in my boots. She is just excited about her maternity shoot. She is looking forward to being pampered by our beloved Elfie, and to try on all the pretty, pretty dresses. This might be okay. I think I can pull this off. We arrive at the location and so far the shoot has gone beautifully. I mean we haven't started shooting yet, BUT mom looks beautiful and chose some really great dresses. That's half the battle, right? We get to one of Amber's spots, My spot right now. That's right. This is my shoot. The light is pretty and the atmosphere is so relaxed. Mom and dad are very laid back, thankfully. We are cracking jokes and going through poses and wardrobe changes seamlessly. I am in the zone and really finding my place in this spot that Amber has enchanted so many times before. It was a moment in the middle of the wilderness where I was shooting for my mentor and I will never forget it. Everything she has taught me, the fact that she took a chance on me... Yes, the shoot went beautifully. Before I know it, the hour is up and that's a wrap. The three of us walk back out of the magical spot to our cars. I am beaming. I can't wait to show my work to Amber and see what she thinks. I text her back of the camera photos from my phone...she is pleased. Sigh of relief. Every shoot after this was easier and easier. I no longer feel like I am pretending to be something. I have my own flow, my own vision while still being guided by Sugar Free's signature style. 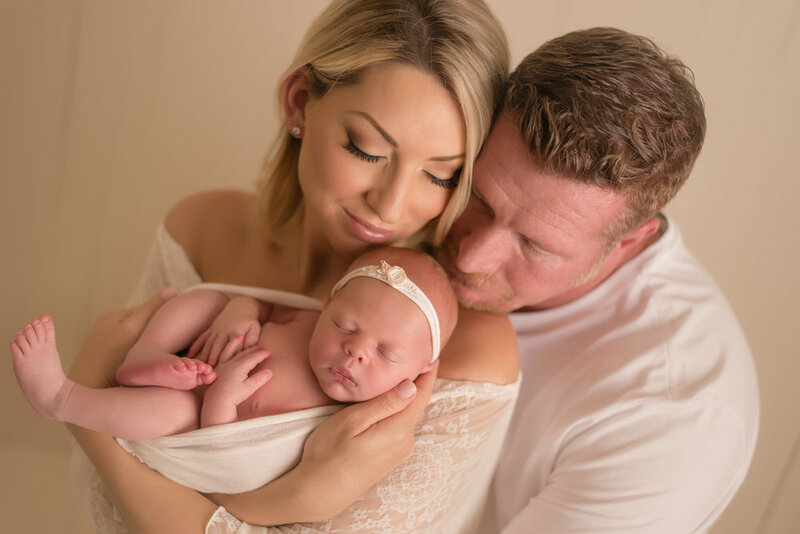 I was thrilled when this couple returned in August for their newborn shoot and I again was their photographer. We had already established a bond and I was honored to photograph their sweet girl. They ended up joining our baby plan and they even graciously offered to host our Christmas party this year at their restaurant, The Crow Bar! I am ecstatic to be a part of this studio and I look forward to what 2017 holds in store.